The SOLD section is a reference tool for Sellers, Buyers and area Appraisers who use its complete and detailed information for ‘comparables’ in their pricing research.Not all properties that sold on QCFSBO® are in the SOLD section. Many are simply not added due to over representation. 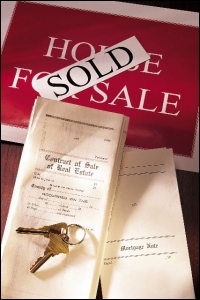 In a few instances the seller or new owners request to have their property not displayed on the sold section. This request is always honored. A Word About Our Sold Section . . . When using our SOLD Section to do a Comparative Market Analysis (CMA), please bear in mind that there are always two years represented. The previous year and the current year. Please look at the URL window at the top of your screen to see in which year a property you are researching was listed in . You will see the listed year clearly shown numerically. The prices shown are the last listed price. To see what a property actually closed for, call the assessor's office for that specific area. Many assessors also have information on public web sites which are a wonderful community resource. Our SOLD Section is not maintained as a brag section, although we are certainly proud of our sellers’ achievements. Additionally we like to show how successful our web site can be in helping people sell properties without paying a hefty commission. We felt that it was important to provide this service to our visitors as a CMA tool. Now everyone has access to ‘comparables’ not just the Realtors with their MLS. The detailed information and photos are helpful in pricing comparables and users of the site know that ALL of the sold properties were listed ‘For Sale By Owner’ with QCFSBO®.com and not on MLS with Realtors. All of these properties were sold as FSBO! Below you will find a list of assessors phone numbers and links to their web sites (if available) to further help you. We have included a representative sample of sold properties in various locations, price ranges and property types to help local appraisers and sellers price their customer's or their own homes. This list obviously does not include ALL properties sold by FSBO sellers from our web site in 2018-2019. If you are interested in the details of a QCFSBO® sold property that is not featured here, you are welcome to review it in our office. This is a free service but you must make an appointment by calling our office. Walk-ins are not allowed for this purpose. All selected properties featured here were sold by FSBO owners during their active listing period on QCFSBO®.com. Unlike other local web sites, there are no Realtor listings here. So, you are not looking at home prices inflated to cover Realtor commissions! 2717 E. George Washington Blvd.